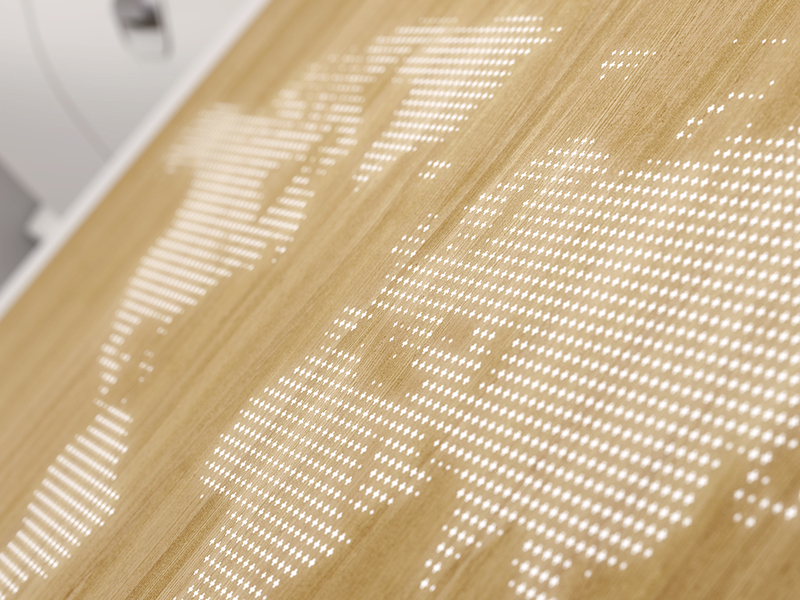 A welcoming entrance that is already an instantly recognisable image, the panels feature an illuminated greeting and world map, as also found in the reception area of the SWISS lounges at Zurich airport. 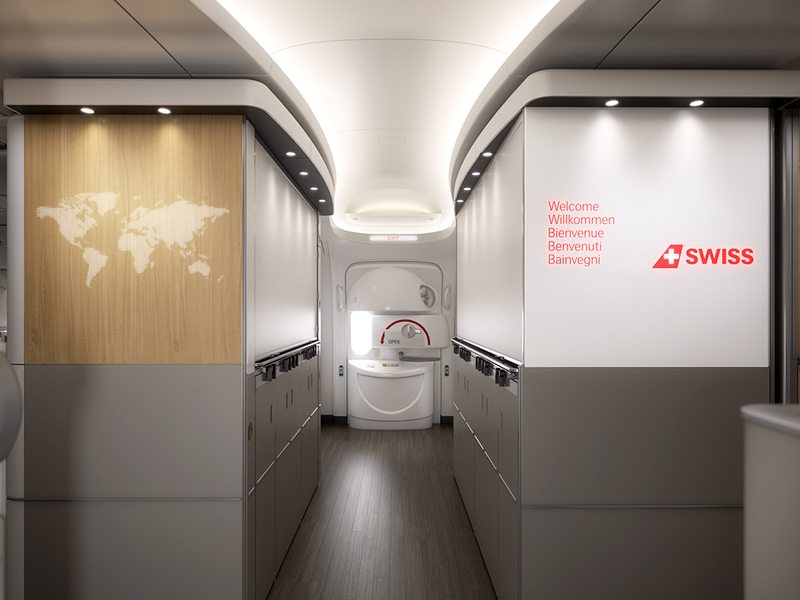 Composite back-lit panels are controlled by an Autonomous-Lighting-Dimmer (ALD), allowing feature lighting to be automatically controlled without any connection to the aircraft IFE system or the cabin mood lighting system. 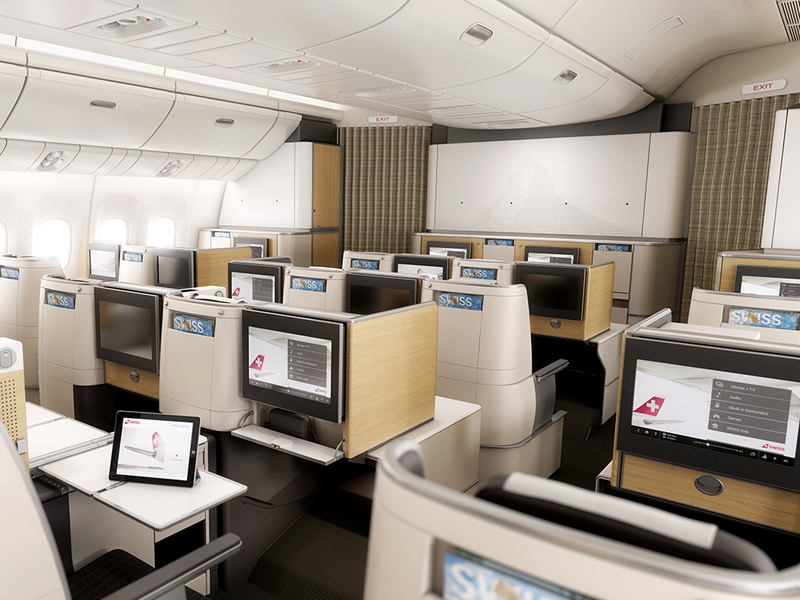 Following the original design concept by PriestmanGoode, the business-class cabin is elegantly complemented with the installation of the front-row furniture. The units combine the seats’ functionality with the practicality of the stowages. This seamless integration of additional internal stowage space and practicality forms an aesthetically pleasing package.